When architects want to wow a high-end budget client, giant windows and craftsman doors can make a satisfying statement about status, taste and function. 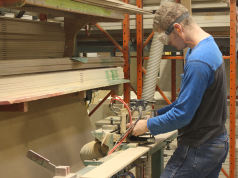 Loewen Windows and Doors of Steinbach, Man., has been working with wood for over a hundred years when the original Loewen family business made church pews and beekeeping equipment for Manitoba farmers. Today its high-end products are specified by architects in stately homes across North America. 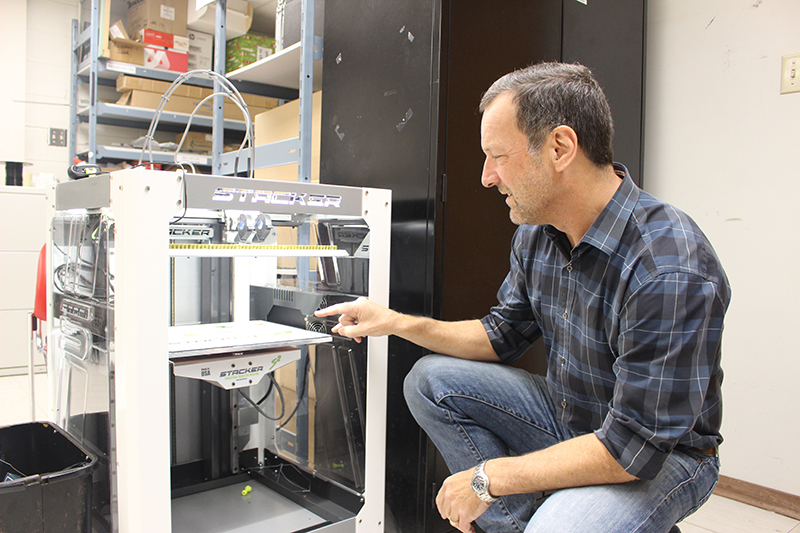 Clyde Loewen, senior vice president of marketing and product development, with one of the company’s 3D printers that assist in speeding up product development. His formal education at university studying both business and physics has provided a unique position from which to address marketing and manufacturing challenges. His Master of Physics degree studies were cut short when the father passed away. 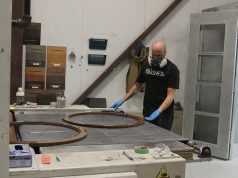 Loewen decided to come back and join the company with his technical science background, knowing he had other people leading the company already. 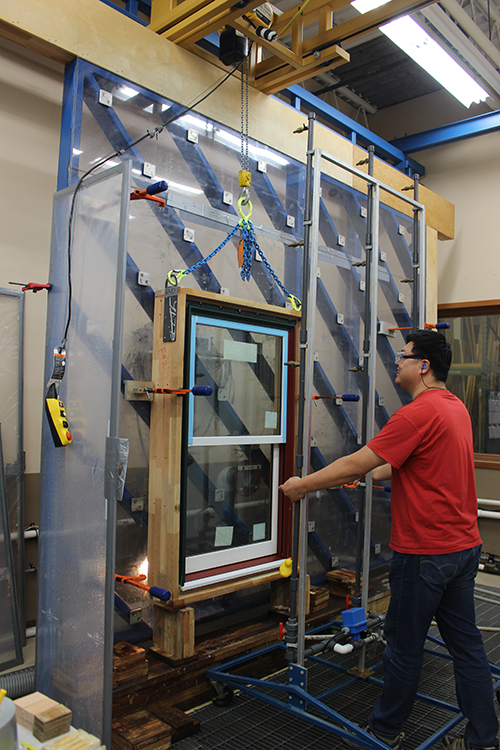 “It was kind of practical for me to get into the product development area,” says Loewen. 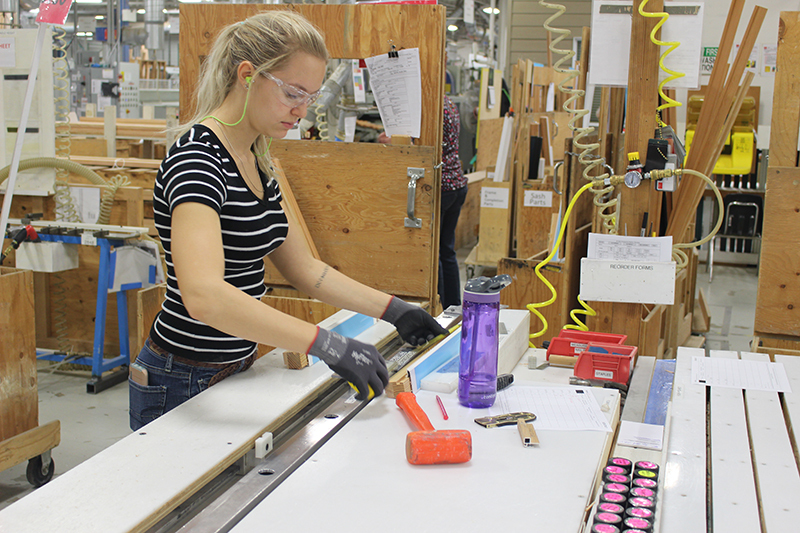 After a couple of years in the Calgary branch location to learn the business, then close to three years in Toronto where the company did final assembly, Loewen also learned customer service in that market’s then small operation. Combining a business and science education, along with his work in branch locations, he returned to Manitoba in the fall of 1990 to head up the product development area. 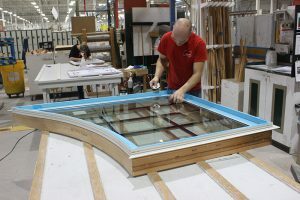 When eyeing the U.S. market through the 1990s, Loewen found a whole bunch of different window companies all serving the same market. It turned out that the luxury or the highend market was where the company was ideally suited to occupy. 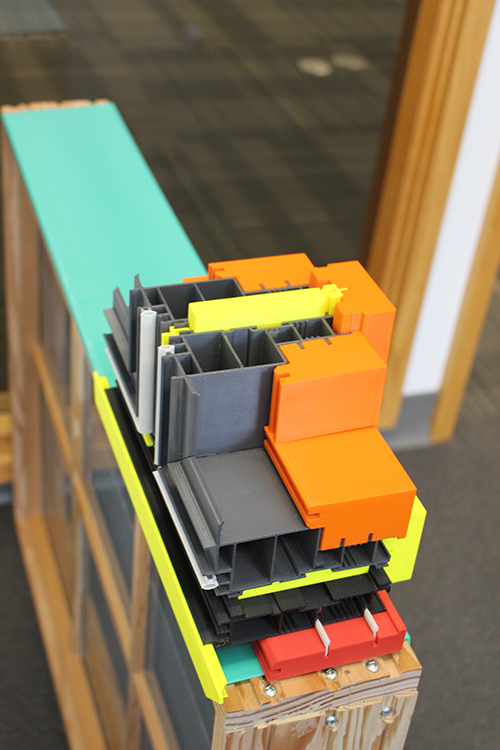 But Loewen still had to develop some products for the U.S. market. In 1990 it didn’t have a double hung window or a terrace door, so the company developed those in the very early 1990s for the U.S. market and started down a strong growth track. During that time the PVC segment was starting to grow and really take hold, according to Loewen, “particularly in Canada where it has become to dominate the middle end segment and now it’s the material of choice for the track or housing market. It has happened in the U.S. as well. There are challenges working at the top end of the market for the company, in particular because it is dealing with people who want something very specific for their home. 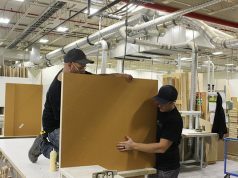 “Almost always with our company and our portion of the market means dealing with an architect,” says Loewen. 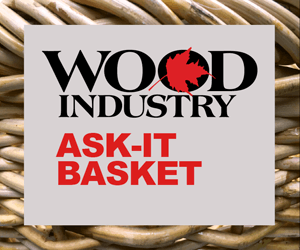 “Architects want to make their own specific statement and their clients want that. They often want what a lot of people would call custom or very high choice. We consider those slightly different. High choice would be maybe a lower end producer who would offer two or three finishes and hardware. We may offer six or seven painted, oil rubbed bronze, a solid brass, a brushed steel, a brushed chrome, polished chrome. That’s an example of high choice. Those are all standard choices, but you need to offer all of them. But the line is crossed into custom when someone says “I don’t like that. I don’t like any of your standard choices,” Loewen says. “I want the one that my architect has designed and or I want you to replicate this 1863 original home that was on my property and it had this. Will you do this? That is pure custom.